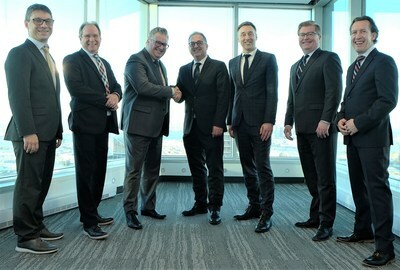 MONTREAL, Feb. 7, 2019 /CNW Telbec/ - Equisoft, a leading global provider of digital business solutions for the insurance and wealth industries has acquired AGEman Solutions, a Montreal-based digital provider recognized for its agency management systems designed for the Canadian distribution market. Using cutting-edge technology, AGEman's system allows insurance distributors, namely agencies and national accounts, to manage all aspects of their insurance sales process. The uniqueness of this system is that it can connect any Canadian agency with all Canadian carriers through CITS protocol. 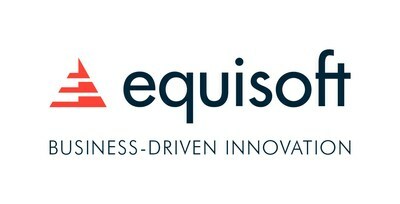 With this latest acquisition, Equisoft now offers a full set of integrated solutions in Canada: from life insurance carrier core and sales solutions (policy administration, quotes and illustrations, electronic application), to MGA sales processing systems (agency management, processing of CITS transactions, in-force feeds, eApps and paramedics), to advanced front-end tools for advisors and brokers (CRM, FNA, customer, advisor and broker portals). "AGEman has the best technology out there, a proven track record of over 30 years, and more than 20 prestigious clients in the National Account and MGA Life Insurance Distribution market," says Equisoft CEO, Luis Romero. "Their technology will enhance our existing offering by filling the gap between the carrier's core systems and the agents' front-end tools." "We're very excited about this positive development for our company and our clients," says AGEman President Nathan Carey. "We're not only joining a firm that has a strong presence and reputation in Canada and abroad to support our business development efforts, but we're also joining a firm that has a large poo of specialized resources to support our long-term product development effort." Joining Equisoft gives AGEman an increased opportunity to scale operations, as well as providing the financial strength and stability to continue to evolve industry-leading solutions. By enabling seamless and bi-directional data flow between the carriers, distributors, and agents, Equisoft and AGEman are confident that they will add value to the industry and their clients' businesses. "Our combined insurance and wealth management offering reaches nearly 60 000 advisors, half of which are in Canada," says François Levasseur, Equisoft's Vice President, Canada. "This clearly demonstrates the strong presence that we already have in the country, and acquiring AGEman will certainly reinforce our leadership position in Canada."